Instagram is a neat photo sharing app found on many smartphones that allow people to apply special filters in order to make images look ‘cool’. However, what was once a friends and family app has now turned a corner and entered the business world as many website owners have taken to Instagram to share photos with their website visitors. Instagram is being used as a powerful tool for showcasing product images, portfolios of work, and video-related content. It also remains one of the top social media platforms on the market today with the trend continuing to rise. Today I will share with you three ways you can bring the power of Instagram right to your WordPress website. This way you can continue to take part in what is a popular way to build your brand, share your content, increase conversions, and establish yourself as an authoritative figure in your industry. Instagram is free and easy to use. 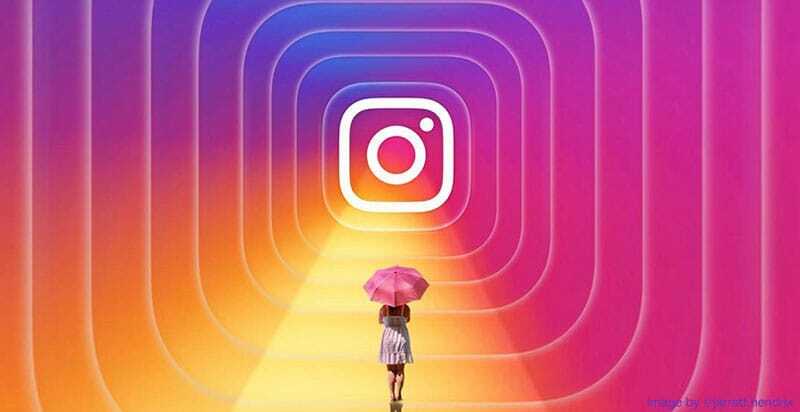 With very little commercials or advertisements being pushed onto users, more people are drawn to the visual appeal and lighthearted nature of the social feed that is Instagram. In addition, though people can certainly add a significant amount of text to each image uploaded to the feed, Instagram does not share the same heavy feel that a Twitter feed does when it comes to the written word. Instagram is the perfect balance between imagery and text. Companies can add links to their websites to easily to drive more traffic to their sites without feeling pushy. And as an intensive, interconnected social media platform, businesses know that their reach is essentially limitless as people like, comment, and share with their friends their favorite images. With the appeal that Instagram provides its users mixed with the desire you have for wanting more exposure for your brand, it makes sense to want to share some of that same look and feel directly on your website. This way your followers, both old and new, can take part in what are amazing Instagram photos while maintaining the ability to visit your Instagram account and continue to spread the word about what you have to offer. Since the release of WordPress 3.5 website owners have had the ability to embed Instagram photos directly onto their websites. The steps for doing so are very easy. Once you are on the Instagram profile with the image you would like to share, simply click the specific image and find the Embed Link. This will be located near the bottom of the expanded image. When you click on the icon you will be presented with three choices: Report Inappropriate, Embed, and Cancel. Select Embed and click Copy Embed Code. When the embed code has been successfully copied you will see a message stating so. 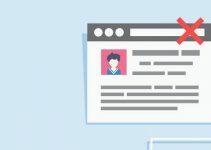 Next in your WordPress dashboard open an existing post or page, or create a new one, depending on where you would like to embed the Instagram photo. Then simply paste the embed code into the WordPress Text Editor. You will then easily be able to see your embedded image on your WordPress website. This is a simple solution for anyone who just wants to share their Instagram’s imagery with their readers. It requires no additional plugins, software downloads, or complicated configurations, and works great on any type of website there is. While the above mentioned steps are great for embedding single images onto your WordPress website, what if you wanted to display your Instagram photos as a gallery of images instead or include them in your sidebar? Or better yet, what if you wanted to expand your reach and allow linking abilities on your images so that your Instagram account could be accessed directly from your website? Well, it just so happens that there are two great ways to do all of that. Let’s take a look! With the premium InstaShow widget you can connect your Instagram account with your WordPress website and upload any images or videos from Instagram that are publicly shown. This is great for wowing your site visitors (because it does look cool) and for sharing exactly what your brand has to offer. If you want a step-by-step guide on how to use this widget, check out my tutorial here. When your website visitors see these amazing images and click on them, they then receive whatever information you have provided them via the configuration of the plugin and have the opportunity to connect to your actual Instagram account to see even more of what you have to offer. This also increases the chances more of your images will be liked, commented on, and shared. User friendly, flexible, and fully responsive. Customize using one or more of the 60+ parameters set by the widget. Showcase any combination of usernames, hashtags, and URLs for site visitors to click on and link to. Control all aspects using the “except” and “only” filters. Change image dimensions to fit the look of your website. Adjust all special effects of your gallery: scrolling, direction, popup speed, autorotation, and more. Extensive post settings to display information you see fit. Include an image description, comments counter, and likes counter. Translate into one of 16 different languages. InstaShow is a feature-packed WordPress widget that is sure to impress anyone that visits your website. With an extensive gallery of your best Instagram images and the ability to expose your brand via a popular social media platform, you are bound to increase your website’s traffic, conversions, and sales. And for the low price of $19, it really doesn’t get any better than this. This free and responsive WordPress plugin allows you to display 12 of your latest Instagram images to your site visitors from your website’s sidebar. Imported as WordPress attachments, you can showcase your images in a slider or as thumbnails. The great thing is there is no API configuration required which makes things much easier as far as set up is concerned. You can sort your images randomly, by popularity, or by date. 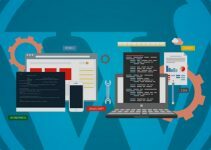 The first step in using this plugin is installing and activating it via the WordPress dashboard. Simply navigate to Plugins > Add New and search for Instagram Slider Widget. Then click on Install and Activate. The next step is to navigate to Appearance > Widgets in your WordPress dashboard and drag the Instagram Slider widget to your website’s sidebar area. Here you will find several settings options for configuring your Instagram display. Search bar for linking Instagram account via username or hashtag. The source for finding images (up to 12 of the latest will show at any one time). Whether to save Display Images from the Media Library. The number of images to show and the time interval for checking for new images. And various advanced image and slider options. After configuring your settings simply select Save and your images will show immediately in your website’s sidebar. The Instagram Slider Widget offers website owners a unique way of displaying their Instagram accounts on their WordPress websites but in a more conspicuous area – the sidebar. Though not as flashy as the InstaShow WordPress widget, it does not fail to provide still or slideshow images that your readers can still enjoy. Being able to display your company’s products, your best work, or just fun images your loyal readers will enjoy adds an extra layer of appeal to your website. What better way to do this than to include images from one of the most popular social media platforms on the market today in order to reach a wider audience. There are several options when it comes to sharing your Instagram account with your site visitors. You can embed standalone images directly into your content, create stunning slideshows that can be shared anywhere on your website, or even focus the attention on your sidebar so as to not overshadow your website’s main focus which is the written word. No matter which method you choose, your readers are sure to enjoy the added eye candy and feel compelled to share your brand with everyone they know. Have you ever tried any of the above mentioned methods for displaying Instagram photos on your WordPress website? I would love to hear all about it in the comments below! Thank you so much for stopping by and checking out how to integrate Instagram onto your WordPress website. I am so happy that you found this tip useful. I totally agree that Instagram has the potential to help conversion rates, plus it just looks cool right?! Hi – I’m currently embedding my Instagram photos on my WP blog, but when I share the links on social networks there are no thumbnails associated with it. I’ve tried using various plugins in an attempt to fix this this but nothing seems to work. Any thoughts? Thank you for stopping by WPWarfare and sharing your issue about sharing Instagram thumbnail images on your social media platforms. Unfortunately after much research I cannot seem to find a general answer as to why this would be happening to you. Without knowing the specific plugin or social media network you are trying to post to I cannot help you as I am not a plugin developer. My suggestion would be to contact the plugin author that developed the plugin you are using and ask them for remedies. If anyone is going to know what’s happening, they will. I hope this helps!